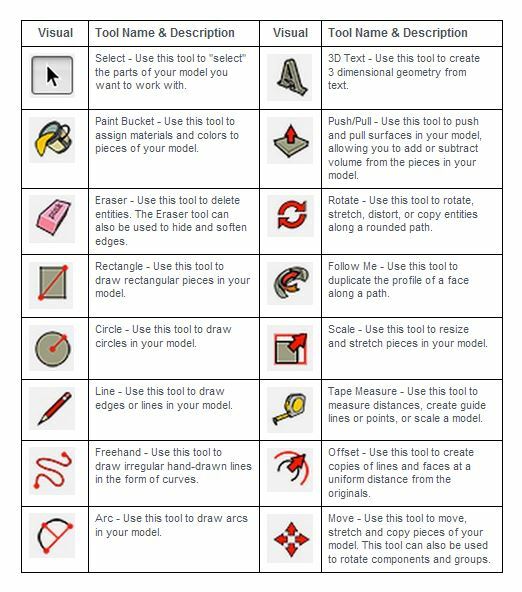 Click on the tool icon below to reveal what job that tool performs in Google Sketchup. You will need to know the job of each tool for the post test. Or, you may use the table below to study online or access the PDF at the bottom of the page to print off and study.